Our Rabbit insurance is designed to provide premium cover for your pet. Including developing long term and life threatening conditions associated to illness or injury. Rabbit Insurance from NCI will cover your rabbit for life and will deal with vet fees directly, which can run in to thousands of pounds. 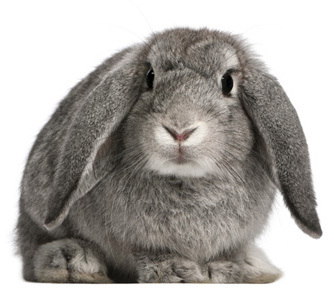 Your rabbit is covered up to £2000 per year for veterinary fees; also, you can benefit from an additional £750 cover, should your rabbit require any complementary treatments. The policy provides essential cover against chronic and long term conditions and we even provide cover for more serious emergency treatments, such as Coccidiosis and Fly Strike; giving you complete peace of mind. Also, in the worst case scenario that your long eared friend decides to go exploring; you can even claim for the costs of advertising and reward for their safe return back to you. Take a look at some of the additional benefits our policies can offer you below. With our rabbit insurance policies, you can cover your rabbit from a minimum of 6 weeks old up until the day before their 7th birthday. Once your rabbit is on cover with us, we will continue to offer cover for the rest of their life; providing there is no break in the cover of your policy and your policy premiums are kept up to date. What Excess will I pay if I claim? In the event of a claim, a policy excess may apply; these may vary on the policy type, section of cover being claimed against and the age of your pet. Please proceed with a quote for further details. In the event you need to make a claim, you can simply download the claim form you need. Alternatively, please call our Claims Department on 01423 535057 and request a claim form to be either emailed or posted to you.